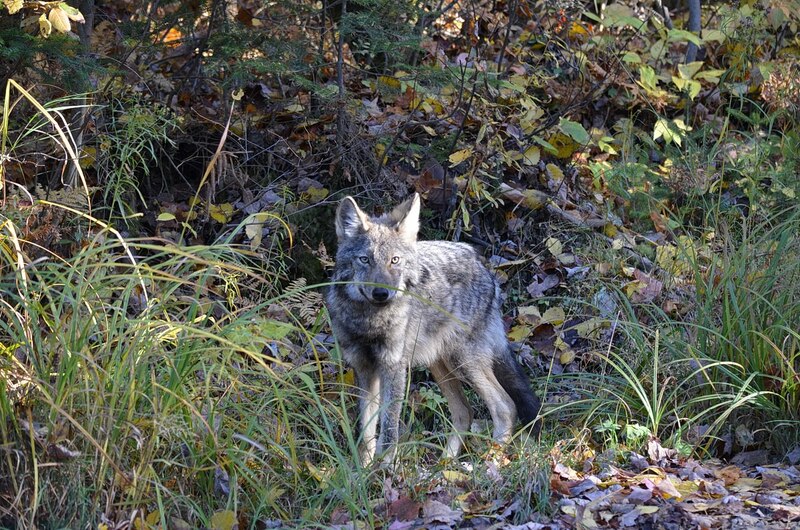 On any given trip into Algonquin Provincial Park, Bob and I are on the lookout for wildlife. Who goes to the Park and doesn’t hope to see an animal in its natural habitat? One of the purposes of the Park is to provide a safe natural habitat for all the creatures that live within its boundaries. 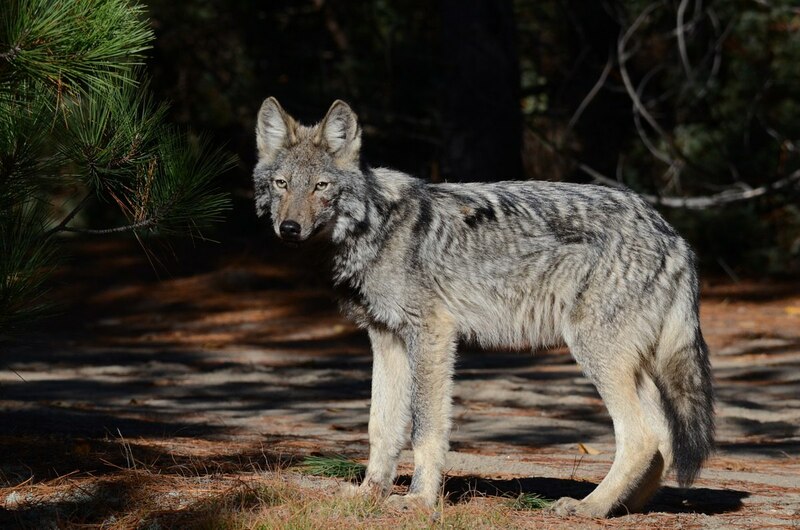 On this visit to the Park in early October, an Eastern Wolf gave Bob a rare opportunity to see and observe its movements. Sightings of an Eastern Wolf had been reported over the previous two weeks, but we really didn’t hold out much hope of seeing it. Winter was approaching, and we were sure the wolf would make for a more remote area. 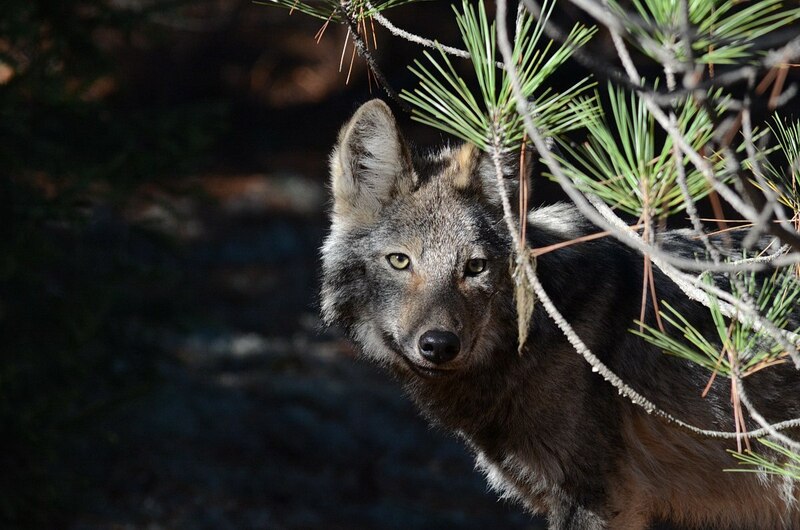 When Bob got a glimpse of this Eastern Wolf lurking in the shadows, his heart leaped for joy. 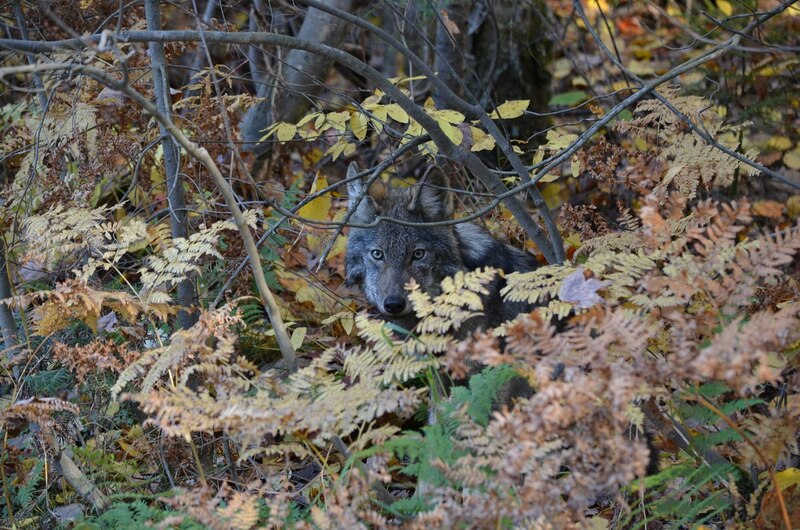 Eastern Wolves are known for being shy, but here was this lone wolf creeping out from beneath the underbrush despite the fact that Bob and others were in the vicinity. Let’s just say that everyone was on guard and kept within the confines of their automobiles. 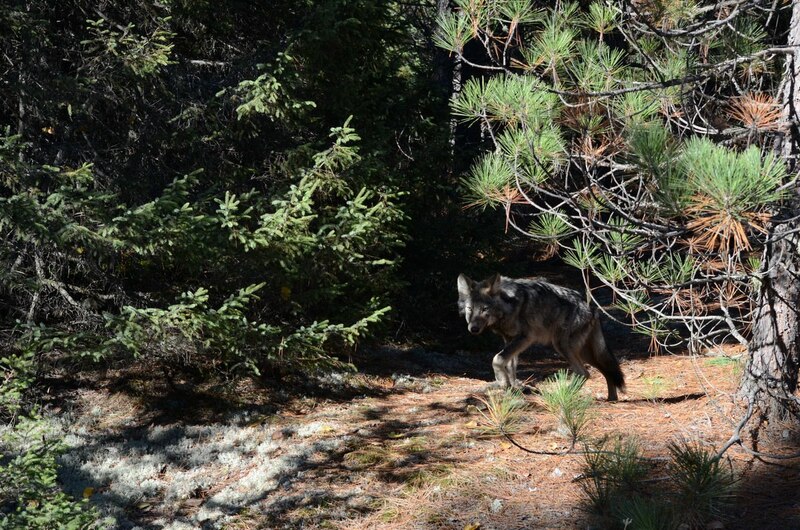 Speculation was running rampant as to why this particular wolf was alone because normally Eastern Wolves live together in a pack of between 3 and 6 animals. A Lone Wolf or Sigma Wolf is one that probably challenged the leader of its pack, the Alpha male, and by so doing indicated that it did not want to remain second in command, a Beta male in line for the head of the pack. If so, this wolf would have been forced to leave. Or perhaps this particular wolf was even lower in the hierarchy of the pack and just decided to strike out on its own to hunt for itself. The Eastern Wolf is also called the Eastern Timber Wolf, a species that for years was believed to be a sub-species of the Grey Wolf. Through genetic testing, that theory has now been dispelled. 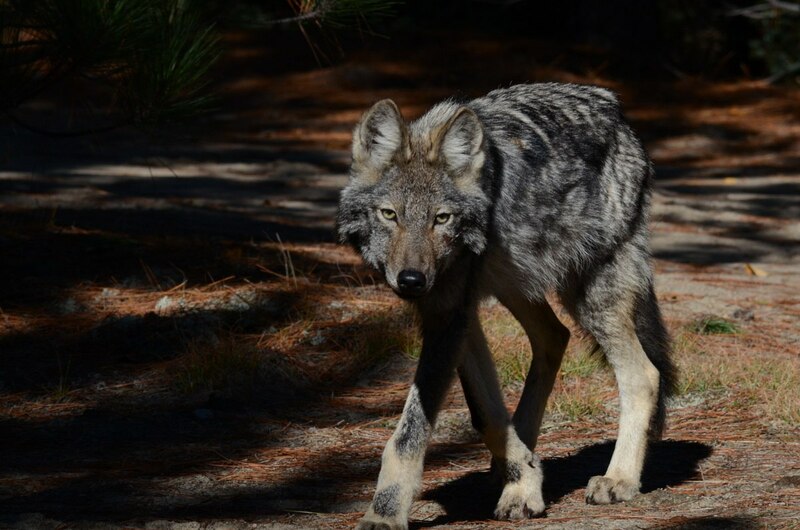 In fact, the Wolves in Algonquin Provincial Park are pure Eastern Wolves that are linked genetically to the endangered Red Wolves of the southeastern United States. 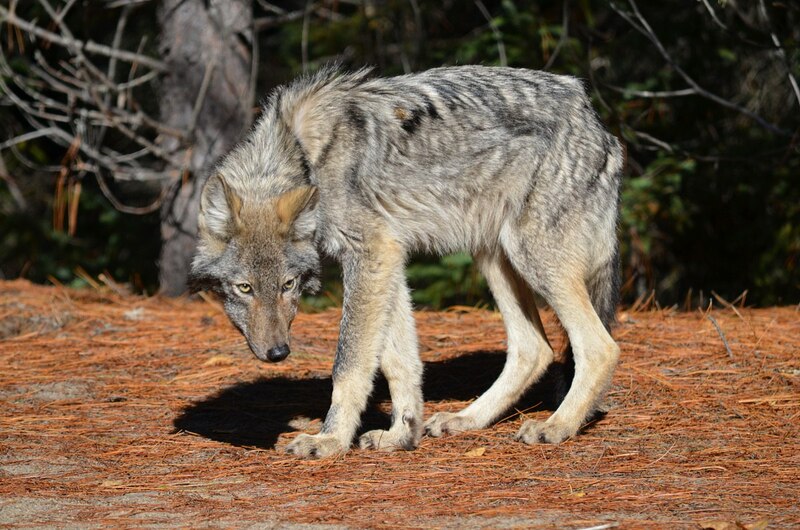 This photo really shows the appearance of an Eastern Wolf very well. It is typical for an Eastern Wolf to have grizzled, greyish-brown fur tinged with reddish-brown, and yet the cinnamon colour is most apparent on the muzzle, behind the ears and on the legs. A pronounced mix of black and grey hair is noticeable on the nape of the neck, shoulder area and tail region. The range of Eastern Wolves like so many wild creatures has been severely impacted by loss of habitat and human activity. 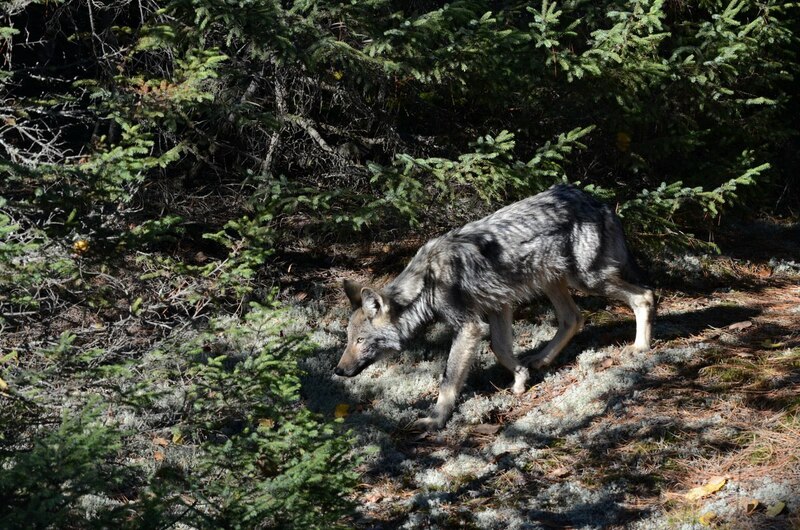 As a result, their numbers are dwindling so much so that the Algonquin Wildlife Research Station (AWRS) recommended moving the Eastern Wolf’s status to that of “Threatened”. 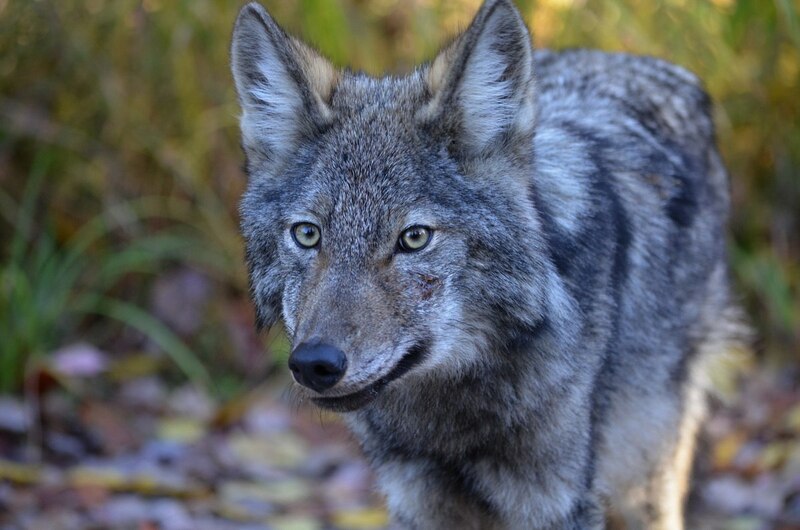 The AWRS’s suggestion was implemented by the Committee on the Status of Endangered Wildlife in Canada meaning the species risks becoming endangered if measures are not taken to reverse the negative impacts within the Eastern Wolf’s range. Where once they inhabited most deciduous forests in eastern North America, they now are reduced to three separate areas of Ontario. The life of a Lone Wolf is a tough one…cold, lonely and challenging. The Sigma Wolf has only itself to rely on, and with the long frigid months ahead, it will be put to the consummate test of survival. At the time that Bob observed this Eastern Wolf, it was very lean suggesting that its hunting skills might be lacking. 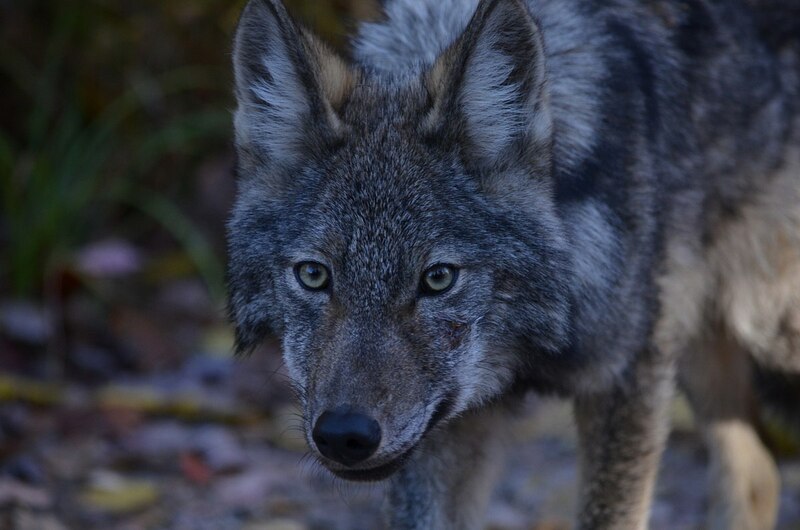 The main food supply for an Eastern Wolf is either White-tailed Deer, Moose or Beaver, and before the snow flies, we are hoping that this Lone Wolf can take down at least one animal so that it can eat its fill and grow stronger. It would be a real loss to have his life end in tragedy.